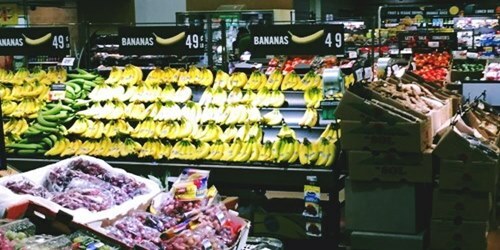 The American supermarket chain, Giant Food Stores, has reportedly announced the launch of its first e-commerce center Giant Direct in Pennsylvania in February this year. Reports claimed that the new 38,000-square foot online grocery pickup & fulfilment facility is powered by Peapod, a US-based online grocery delivery service. Reliable sources reported that both Giant Food and e-grocer Peapod are the subsidiaries of Ahold Delhaize, which closed the Giant Food store in 2017, reopened the store again in June 2018 as part of a $22 million investment that also included price investments, four store remodels and a new fuel center. Apparently, the latest move marks the expansion of Ahold Delhaize through its Peapod brand. Sources further added that the new Lancaster facility will have a pickup option to deliver online orders directly to customer vehicles parked outside. Customers will also have an option to visit a vestibule that features tablets to be used for placing orders. Moreover, Giant Food can also deliver groceries directly to shoppers from the hub. Nicholas Bertram, President, Giant Food Stores, has been reported by Supermarket News to say that the company is excited to have Lancaster as the home to its latest innovation for Giant Direct’s launch. According to him, the e-commerce hub is not just a brand-new concept in the area, but also it is the result of a successful collaboration with Danene Sorace, Lancaster’s Mayor, and the local residents, to render the most desired shopping experience to the Lancaster community. Many traditional grocery stores fulfill online orders besides using brick-and-mortar locations, a system that has often proved rather inefficient. In an e-commerce-focused location, workers never get in the way of shoppers and online fulfillment becomes faster and more efficient. In the new hub Ahold Delhaize is reported to be including some of its technologies that it is at present testing in a Stop & Shop store in Connecticut.